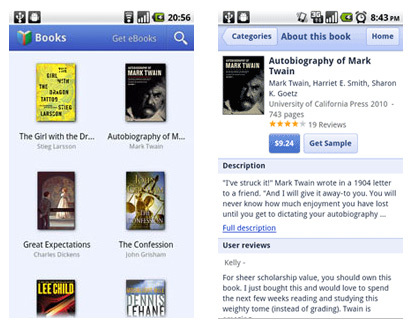 Google has launched the new eBookStore officially with more than 3 million books. Many devices are made compatible with this new eBook store from Google. Google is making it possible for you to purchase and read ebooks on almost every device. Google has also launched free apps for android, iPhone, iPad and iPod touch devices. It means you can shop and read books on the go. For many books you can select which font, font size, day/night reading mode and line spacing suits you and pick up on the page where you left off when switching devices. This Google books app looks really cool! I love it. I havent any phrase to appreciate this post…..Actually i’m impressed from this post….the one that create this publish it was an excellent human..thanks for shared this with us.